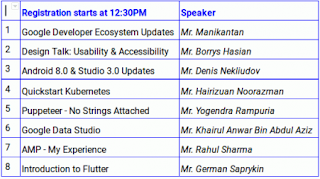 GDG DevFests are large, community-run developer events happening around the globe focused on community building and learning about Google’s technologies. Each DevFest is inspired by and uniquely tailored to the needs of the developer community that hosts it. DevFest powered by a shared belief that when developers come together to exchange ideas, amazing things can happen. 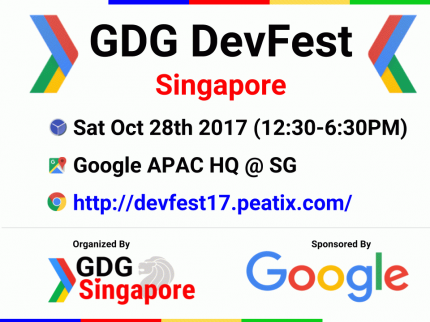 GDG DevFest is the biggest Google related developer event in Singapore, carefully crafted for you by your GDG.